MP for Vilimale' constituency, Ahmed Nihan Hussain Manik, has said that his bill, Anti-Defection Bill - designed to disqualify lawmakers for floor crossing, will be passed at the parliament with 99 percent support of the MPs. Responding to a question from Sun Media regarding the rumors of dissent among the PPM MPs in relation to bill, MP, Nihan said that MPs will share their thoughts no matter which bill is in question. 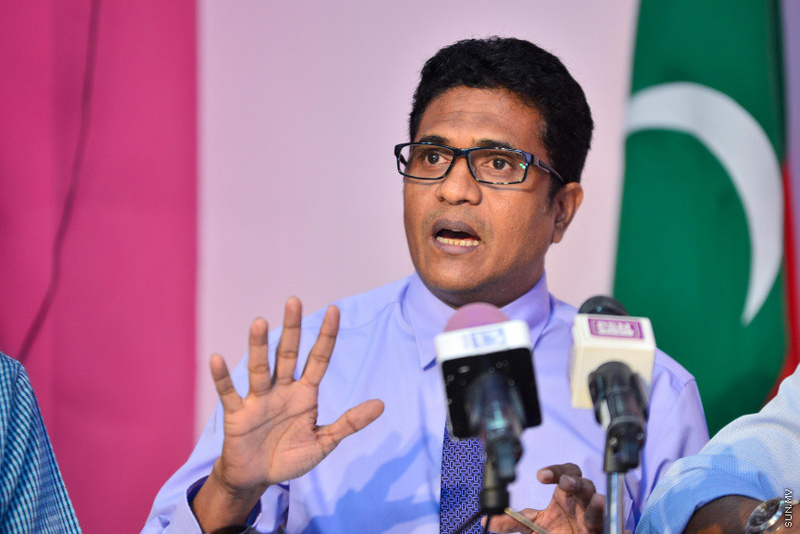 The Leader of the PPM Parliamentary Group, Nihan said that the bill will be passed after getting a solution to the concerns and they would get the yes vote of the MPs once the bill is properly explained. Nihan said that one of the main reasons for the bill is that it is included in the government's manifesto. And said that the Supreme Court ruling in August 2017 also demands such a bill. MP Nihan said that the public lost faith in MPs when the new MPs to join the parliament in 2009 began crossing the aisle. He said that the parliament has passed much more impactful bills with the approval of the PPM/MDA coalition and the union remains strong and the anti defection bill will be passed with the member's suggestions and amendments. Nihan also noted that other countries also have similar bills in their Constitution. Lawmakers will not be disqualified for violating a three-line whip or for disciplinary action taken by a political party.